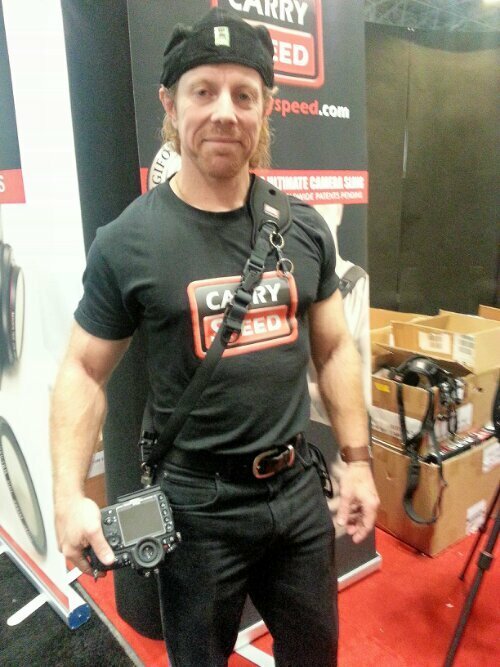 I spent some time in the booth of one of my favorite accessory companies today – CarrySpeed. Last year, I bought a couple cool items like an inexpensive LCD continuous light and shoulder mount rig. Both were well made and bargains compared to their competitors. 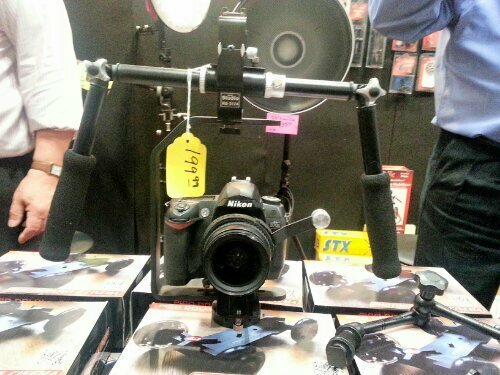 This year I bought their CS-Pro Strap System and a FloPod camera stabilizer. The strap is very sturdy, made of thick neoprene and heavy duty metal fasteners. It also has not innovative quick adjustment system. I was also excited about the FloPod. This two handle rig made it easy to create a floating camera effect. I will be experimenting with both over the weekend. By the way, CarrySpeed is also the manufacturer of the MagFilter for the Sony RX100 which allows you to add a filter to the threadless front of the RX100 by way of a magnetic ring. They just expanded the line to include a circular polarizer too!